﻿The agent you choose to represent your home makes a big impression and can make or break your deal. Comprised of full-time, dedicated and proven realtors, the Grant Waidman Group does not just take listings we MARKET listings. We will be your partner and our consultative approach will help identify the right strategy to help get your home in the eyes of the right buyer…not just the generic MLS. While GWG embraces the traditional methods of real estate marketing, we also like to challenge the “norm” by taking marketing campaigns to new levels through out-of-the-box creativity to bring the right attention to your property. We will personally work with you throughout the process of listing, marketing, showing and selling your home - we are very seasoned in this process and know the right tactics to employ to successfully get you through this journey in a hassle-free fashion while still keeping you informed and prepared for every step along the way. The Grant Waidman Group will work with you to ensure your home is shown in its best light with staging and de-cluttering tips from industry professionals. We will also keep you informed with regular updates on your property including current market activity, number of phone/web inquiries, showing feedback and updated action plans to help position your home to achieve its full potential. We offer a fresh take on real estate through a personable and honest nature, real knowledge and experience of the market and a dedicated work ethic. 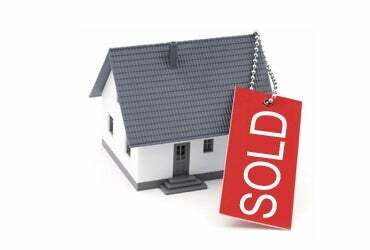 We are dedicated to taking your home from "For Sale to Sold"...just take a look at a few of our success stories and contact us today. WANT TO LEARN MORE? Complete the complementary home evaluation form below to receive further information on your home's value and current comparables on the market.